We noticed that you followed our hot shoe recommendations but it doesn’t seem like that your perfect shoe closet is ever complete. Many of our community members asked us to feature some timeless heels that are chic, comfortable, and YES, on discount!! While buying a pair of shoe, there is an “it” feeling on our minds. Still, the very next day we find ourselves jumping on to the tips on how to get perfect footies?And most girls never mind more suggestions and more opportunities to shop. No matter what the season, year, event, or trend is. It’s often said that the first time you meet someone, you’re judged on a number of factors – with three of the main counts being your hair, handshake and footwear. When we talk about heels, so there are the must-haves of the moment, and then there are the classics that never run out of style. They might tend to make a serious dent in your account but in the long run, they score points for everlasting wear ability and that’s what you actually expect from timeless footwear. They are the ones to meet woman’s footwear collection needs, and once purchased will take up coveted closet real estate for a lifetime. Drumroll please! We are here with the list of 5 timeless heels that are always in style. Even TV believes that a powerful women’s persona is incomplete without heels. So, when you see Olivia Pope in scandal jumping on to problems, it is never without heels. Do you enjoy those moments when attention towards you is so inevitable? You got to include classy pumps in your wardrobe without a doubt. You may have your ideals, but we have got something that will not make your real days difficult at all. Check them out. 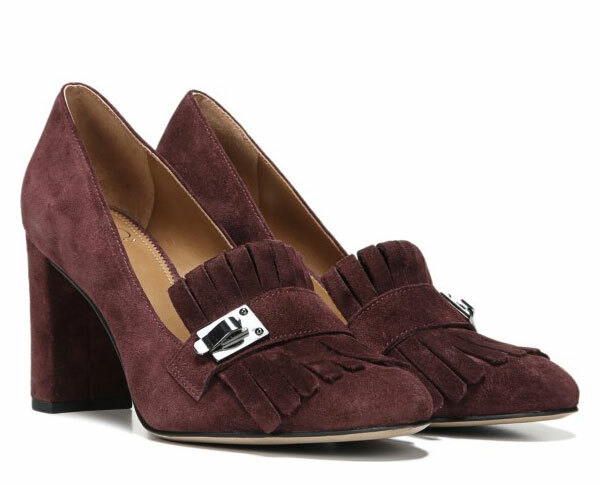 This dark burgundy suede is best to show off your passion for high-style fashion. These tailored pumps are loafer-inspired with fringe detailing at the toe. The heels are 2 and ¾ inches. 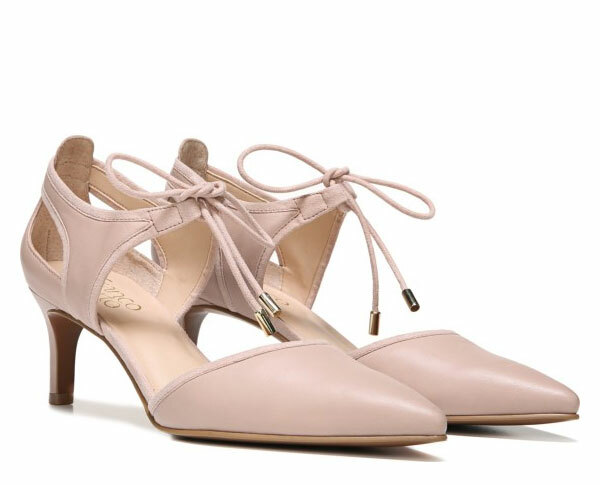 With color-blocking of grey flannel and back, these pointed toe heels are stunningly detailed with lace-up front. Whether it s professional meeting r some celebrations, these 3+ inch heels are ready to make you feel tall and prominent. These enchanting pumps are perfect to wear when you want a highly-sophisticated look for any special even or you can wear them to important work meetings. With lace-up cluser, side cutouts with delicate lace, and 2 and ½ inch heel, they are super-classy! If you are still not impressed and wants to have those ever-green black pumps in your shoes collection, and then go ahead with these ones. 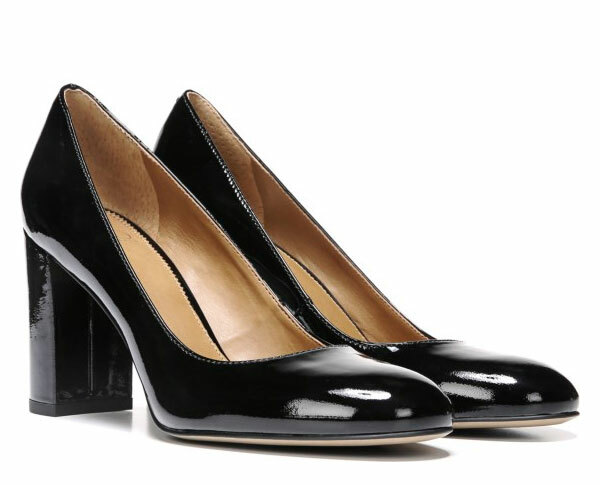 These iconic pumps are effortlessly simple with 2 and ¾ inch block heels. A remarkable pair of ankle boots is your real best friend in winters. They are a kind of staple that can be used daily and give your wardrobe and appearance a complete look when stepping out in winters. You can walk a mile in these babies, if choose the pair wisely, go for a heel that is comfortable. Like men’s closet isn’t complete without having quality and sophisticated boots, same works for women too. The Franco Sarto models are true classics, super comfortable with quintessential fashionable allure. These menswear-inspired ankle boots are tailored with perfection to give it a whole feminine look. These boots with patent or leather upper and lace-up front are perfect to have for a polished chic look when going to office or some meeting. The lace-up boots have stacked heel of 3 and ¾ inches. 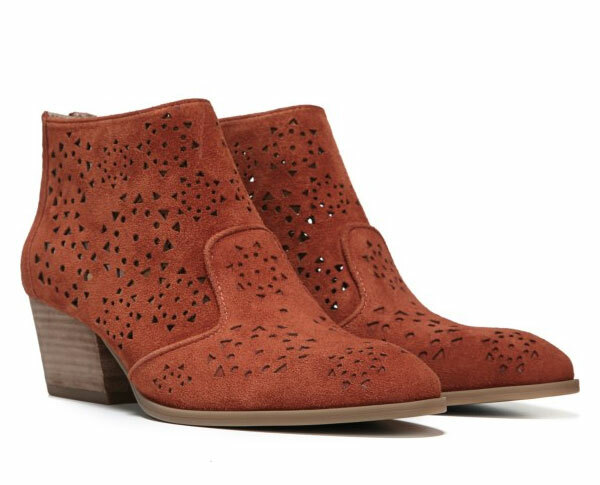 By wearing these chic ankle boots you can elevate any look. With zipper closure and adding hint of fantasy with stunning cutouts, these can never go out of style and class. The boots have 2 inches stacked heel, which is giving the boot right amount of edge. 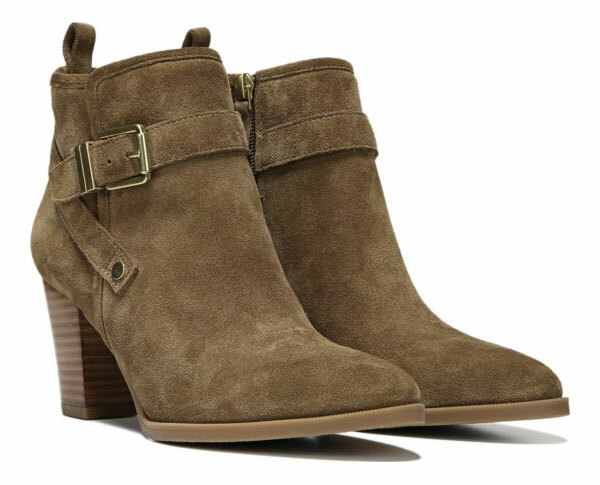 These desert khaki suede boots are the perfect example of luxury + class. The craveable booties have almond toe, side zip closure, and wrap around strap with metallic buckle, so without a much this can be the winter love on any fashionable chic. The heels are 3 inches. Whether it summer, autumn, spring, or even when the winters start, sandals can be worn anytime and anywhere. The difference is just little that you can add socks to them when it’s chilling outside. Otherwise they are the most loved when it comes to select a pair of heels for some occasion, office-wear, or for a casual use. Women’ love for sandals can be easily seen by having a glimpse of their awesome sandals collection. These studded and strappy sandals are the real blend of elegance and edge. With an adjustable buckle closure and caged silhouette that has metallic stud accent, these 3 and ½ inch heel can look cool with any of your attire. These 3 and ¼ inch stacked heels will make you fall for them any day!! The seductive sandal is made with faux leather upper, it has back zip closure, and open toe. The popping red color can give a fashion-boost to your whole appearance. This must have woven sandal is all set to embrace yourself with the touch of oomph. The woven strap detailing and ankle straps with adjustable metallic buckles can make it look cool when worn with any of your closet’s clothing pieces. The heel of these footies isn’t that high, so you don’t need to be worried if you aren’t a heel-lover. 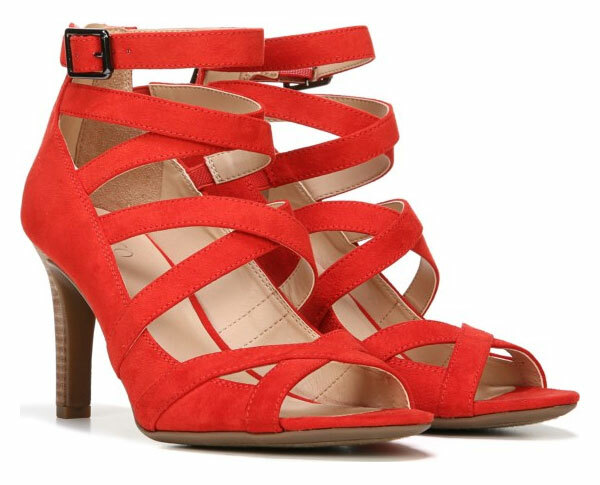 Get these sandals as they have just 1 and ¾ inches stacked block inch heel.